Gov. Rochas Okorocha of Imo on Tuesday cleared the air on why he is endorsing his son in-law, Mr Uche Nwosu, to take over from him as governor. Newsmen report that observers have been criticizing the governor for his penchant for choosing his relations to occupy public offices. 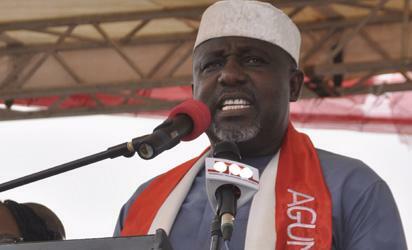 The post Okorocha explains choice of son in-law as successor appeared first on Vanguard News.